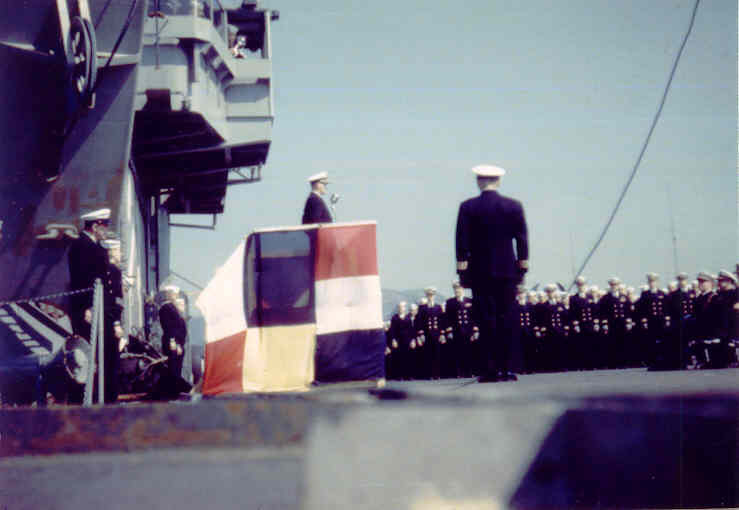 April 17, 1951 Sasebo, Japan: Ceremonies when Captain W. Miller relieved Captain E.T. Neale as commanding officer of the Bataan. The officer standing alone, facing the other officers, is Commander Coffey, our chaplain.